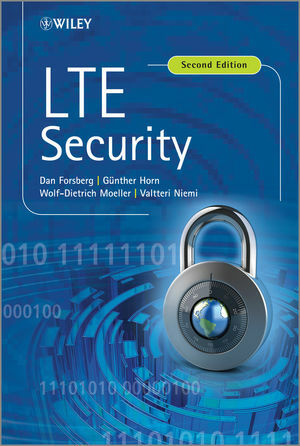 A welcome Revised Edition of the successful LTE Security addressing the security architecture for SAE/LTE, which is based on elements of the security architectures for GSM and 3G, but which needed a major redesign due to the significantly increased complexity, and different architectural and business requirements of fourth generation systems. The authors explain in detail the security mechanisms employed to meet these requirements. The specifications generated by standardization bodies only inform about how to implement the system (and this only to the extent required for interoperability), but almost never inform readers about why things are done the way they are. Furthermore, specifications tend to be readable only for a small group of experts and lack the context of the broader picture. The book fills this gap by providing first hand information from insiders who participated in decisively shaping SAE/LTE security in the relevant standardization body, 3GPP, and can therefore explain the rationale for design decisions in this area. Essential reading for System engineers, developers and people in technical sales working in the area of LTE and LTE security, communication engineers and software developers in mobile communication field. Dr. Dan Forsberg is currently a development manager at Poplatek Oy where he takes care of the payment terminals area and also works with payment card industry security. Earlier, Dan led the SAE/LTE security standardization work in Nokia. He was also nominated as one of the Nokia top inventors in 2007-2008. Dan started his Ph.D. studies while working in Nokia and has published several scientific papers in the area of "improving and distributing session key management for mobile networks". He joined Helsinki University of Technology in 2009 and finalized his PhD studies there before the end of 2009. Dr Horn is a senior standardization expert at Nokia Siemens Networks. The focus of his work is on the standardization of 3G and SAE/LTE security in the 3GPPP security group (SA3), of which he has been a member since it started in 1999. Wolf-Dietrich Moeller is a senior researcher with Nokia Siemens Networks. Dr Niemi is a Professor of Mathematics in University of Turku, Finland and also a Nokia Fellow, for which role he is based at the Nokia Research Center in Helsinki, Finland. Prof. Niemi’s work has been on security and privacy issues of future mobile networks and terminals, the main emphasis being on cryptological aspects. He participated in the 3GPP SA3 (security) standardization group from the beginning, and during 2003-2009 he was the chairman of the group.